We use the finest hardwood species, such as mahogany or oak. Every front door is unique and is handmade in Yonkers, New York, to your specifications. We primarily serve the New York and Tri-state area. You have a choice of glazed or solid panels and the door will be handcrafted to your exact design specifications. In addition, we offer a full range of high quality hardware along with numerous finish options. We will also remove and dispose of your existing door system. Hand-crafted with care and innovation, we use only the highest quality materials. Right Path prides itself on precision fitting and cutting edge features. Whether you are designing a custom fabricated home, or planning an upscale hotel or cozy restaurant, we will create a most innovative and welcoming entry door. We use the most technologically advanced hardware for safety as well as security, while always being conscious of aesthetics. In addition, we offer Accoya wood as an option. Due to its superior dimension stability and the property being nearly rot-proof, even in the most harsh and demanding of climates, this engineered wood product is ideal for doors. It's a Forest Stewardship Council (FSC) certified wood product that also contributes to Leadership in Energy and Environmental Design (LEED) points. Each and every door is created to be as unique as your project. The only limit is your imagination. Right Path can replicate any style of wood door, down to the most intricate architectural detail. In addition, we can often restore the original hardware back to like new condition. Because we have considerable experience working with the NYC Landmarks Preservation Commission, you can be sure that the process of replacing your door will proceed as smoothly as possible. We will file the permit and comply with their requirements. Your new door will be true the original character of the building. You have the choice of glazed or solid panels, and we offer a full range of high quality hardware and finish options. In addition, we will remove and dispose of your existing door. Right Path Bi-Folding doors are high on the ‘must have’ list for anyone improving their home or adding a new extension as they truly offer the opportunity to blend your interior living area with the outdoors. They have the ability to instantly transform your living area by providing an unobstructed opening onto your patio or directly into your garden. 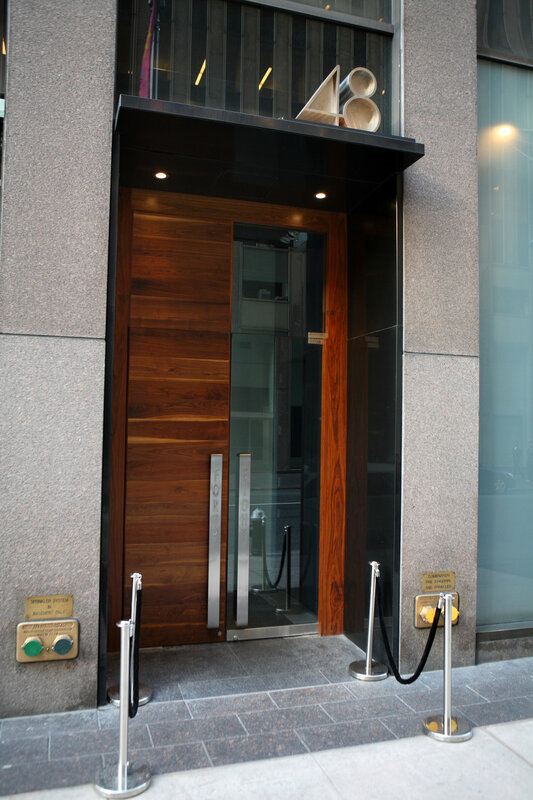 Our Bi-Folding doors also create a welcoming entry from the sidewalk into your business. Our folding doors provide a stylish door that has narrow sight lines. Being crafted of wood, they add a natural coziness to the room. Wood Bi-Fold doors are a popular as well as logical choice in coastal locations to enjoy the breeze. These types of doors are also often used in building interiors to separate areas without making them feel closed off from the rest of the home or business. Right Path can replicate the even most intricate or elaborate wooden doors for houses of worship. Each door Right Path crafts is as unique as the original door, down to the very last detail. Oftentimes, the original hardware can be restored and thus helps to maintain the character of the building. 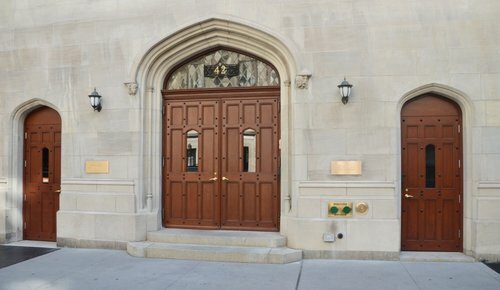 We have considerable experience working with the NYC Landmarks Preservation Commission and can ensure that your new door will be compliant with their requirements. Just as all houses of worship have a unique spirit, so does the building that houses the congregation. We can faithfully replicate the existing doors. no matter how detailed.